All too often we are left feeling helpless and unsure of what to do when confronted with a family member or friend facing a mental health or substance use challenge. When this occurs, our advice is to always respond from a point of Love. 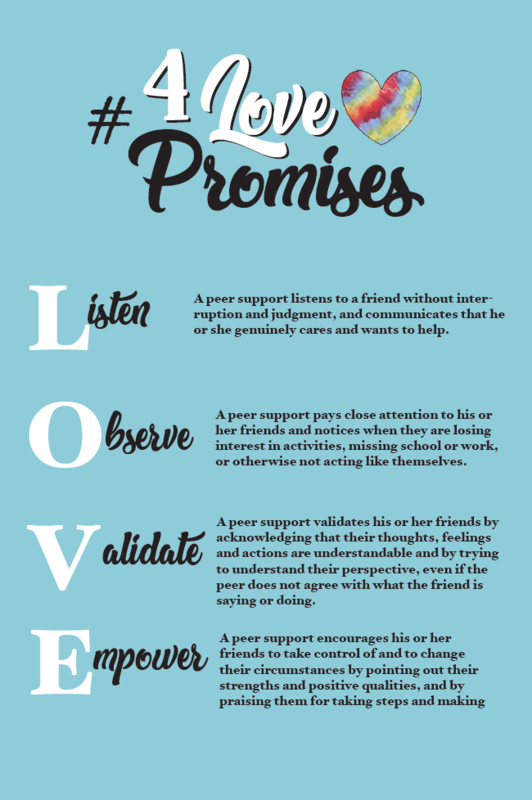 The #4Love Promises campaign is dedicated in memory of Katie Golden to remind people to be kind to one another and to be a friend who reaches out and listens in love.